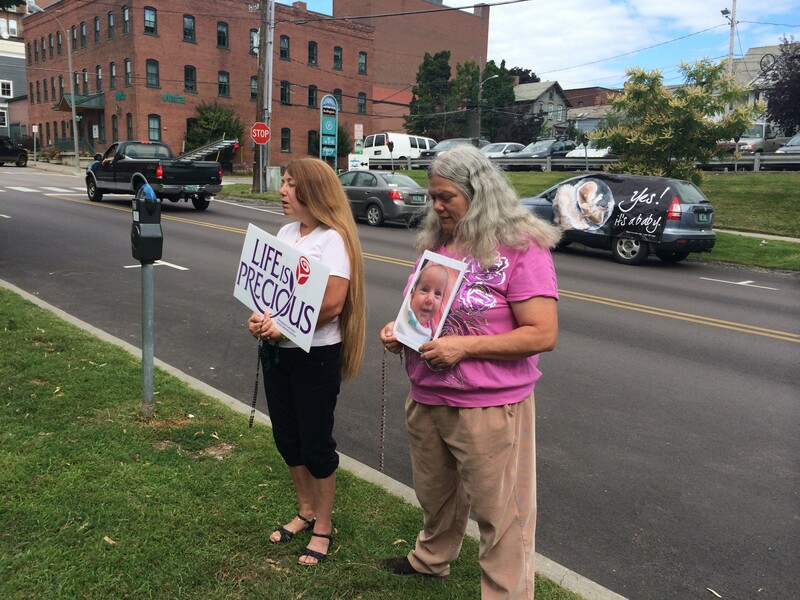 Agnes Clift, right, was one of the plaintiffs in the lawsuit brought against Burlington. Burlington will pay nominal damages to the protestors who sued the city over its no-protest zone around reproductive health clinics, and will also cover their legal expenses of nearly $200,000. The city's insurer is covering the cost, according to city attorney Eileen Blackwood. On December 29, the U.S. District Court issued a judgement in the case awarding $624 in damages to the six plaintiffs. The city is also paying their $180,000 in legal fees and $7,300 in other expenses. Six plaintiffs — all of them pro-life protesters who stood outside the St. Paul Street Planned Parenthood clinic — sued the city in 2012, contending that the 35-foot zone infringed on their constitutional right to free speech. Initially, the city won the case, but the protesters appealed the ruling. Leading the case for them was Connecticut-based Michael DePrimo, who’s been involved in several high-profile buffer zone legal battles. The legal battle outlasted the actual zone, which was nullified by a Supreme Court ruling that struck down a Massachusetts law last summer. The lawsuit was dismissed at the city's request after the ruling, but the two parties continued to disagree about who would cover the attorney fees that had accumulated over two years. In its December 24 issue, Seven Days wrote about the Burlington City Council’s efforts to replace the buffer zone and the lingering legal battle. Five days later, the federal district court issued its final judgment.